Huawei technologies has released a new smartphone into the market known as the huawei honor 3C 4G. 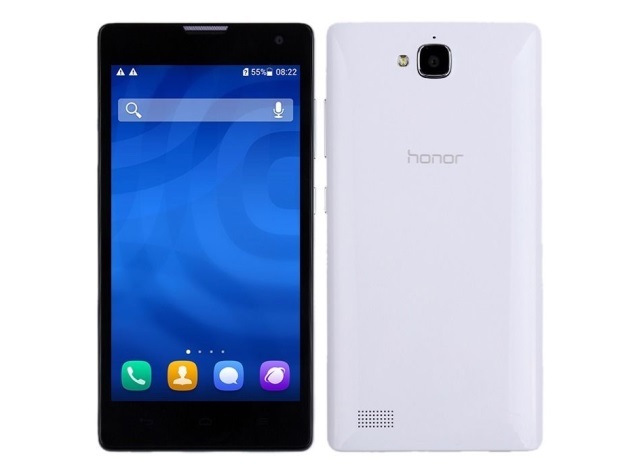 The huawei honor 3C smartphone is running on Google’s latest android operating system known as the KitKat popularly called Android 4.4 by android fans. The smartphone comes loaded with lots of high tech gears which include a 1.6GHz quad-core Cortex-A9 CPU, HiSilicon Kirin 910 chipset, large display of 5.0 inches touchscreen with a 8 mega pixels camera with LED flash and PowerVR GPU. The huawei honor 3C 4G android mobile phone is having dual camera of 8 mega pixels rear camera with flash and 5 mega pixels front facing camera for video calling. Equipped with Dolby Digital Plus sound enhancement system for good quality audio tracks. The smartphone comes in 8GB and 16GB internal memory capacity depending on your choice. The 8GB rom version comes loaded with 1GB ram while the 16GB rom version comes with 2GB ram capacity. it also comes with an amazing 4G internet technology blazing at amazing internet speeds. The huawei honor 3C 4G mobile device comes in three colors White,Black and Pink. The current price range in Nigeria for the 8GB internal storage goes for N25,000 –30,000N While the 16GB version goes for N32,000 –37,000N depewnding on your location.